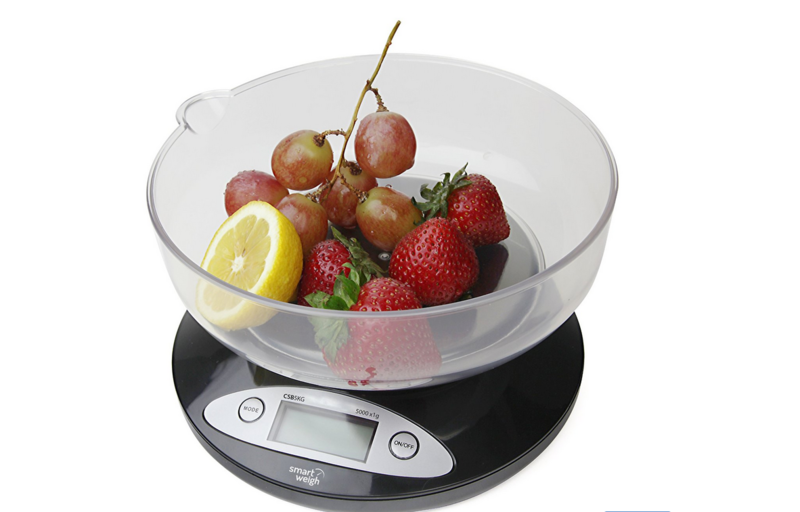 Should you use a food scale? First things first, if you thought my blog was all weather.. Nope! You will see fitness and business stuff here too.. It’s my one stop place to vent anything and everything. OK so should you use a food scale? It really depends on how serious you are about whatever goal you are going for. For me, I want to lose weight at the moment.. This means I need to have a calorie deficit (burn more than I eat). Typically, most people try to start with a 500 calorie a day deficit.. This leads to about one lb per week lost. Sounds easy, right? The problem is just how easy it it is to overestimate the food intake. First off, if you go out to a restaurant, there is a very good chance you aren’t getting the exact calories that are advertised. Obviously cooks aren’t taking time to portion out every meal the same. So just know I am throwing out everything that you aren’t cooking yourself, and I’m specifically talking home cooked meals. Let’s look at a few examples here… These are just some foods I have at home here, so going off of those. First, check out the peanut butter. 1 tbsp is labeled at 16 grams on the label.. So I fill up a tablespoon.. Comes out to 27 grams.. (Yes, I zeroed out the spoon and the plate).. So this is about 1.7 times more than what I thought I was getting.. This means I am taking in about 160 calories, vs 95. 13.5 g of fat vs 8.. Considering the average serving size is 2 tablespoons, if we multiply this, we see we are taking in 323 calories vs 190.. 27g of fat vs 16.. Those can be pretty substantial when compounded over a week, or a month. Say you had peanut butter every day, you could potentially intake an extra 48,500 calories in a year from this mistake! Let’s look at one more example.. Pasta! Now, these images may make it look a little more obvious than it would otherwise be.. When you pour pasta into a pan of boiling water, you probably don’t sit and measure it out. Say for example you accidentally take in 4oz of pasta vs 2oz.. It doesn’t sound like much, but you just cost yourself another 180 calories, but maybe even worse, 39 carbs! So this is just one portion of one meal. If these mistakes compound over multiple meals every day, you will quickly be destroying that 500 calorie deficit! The caveat to all of this is that knowing exactly how much you burn per day is not an exact science. There are tests that can be done to determine your BMR (Basal Metabolic Rate, basically how much you would burn if you just sat there all day and did nothing), so that usually is a good baseline. I wear a Microsoft Band which actually tracks my oxygen levels, heart rate, skin temp, etc 24/7, during workouts, etc and really gives me a good idea. Regardless, knowing exactly how much you are taking in, can be useful when you see (or don’t see) results, so you can know if you need to eat less, more, etc. Here is a good, simple, cheap food scale as well as a link to the Microsoft Band which I mentioned.